Flowchart: Donor funds a charitable gift annuity with stock or cash. The donor receives fixed gift annuity payouts and the Evansville receives the remainder after all payouts have been made. A charitable gift annuity is a contract between you and University of Evansville. You transfer cash or property to University of Evansville. In exchange, we sign an annuity contract and promise to pay fixed payments to you for life. The payment can be quite high depending on your age, and a portion of each payment may even be tax-free. Current charitable gift annuity (payments begin within one year). With a current gift annuity, you may transfer cash or property in exchange for our promise to pay you fixed payments beginning as early as this year. 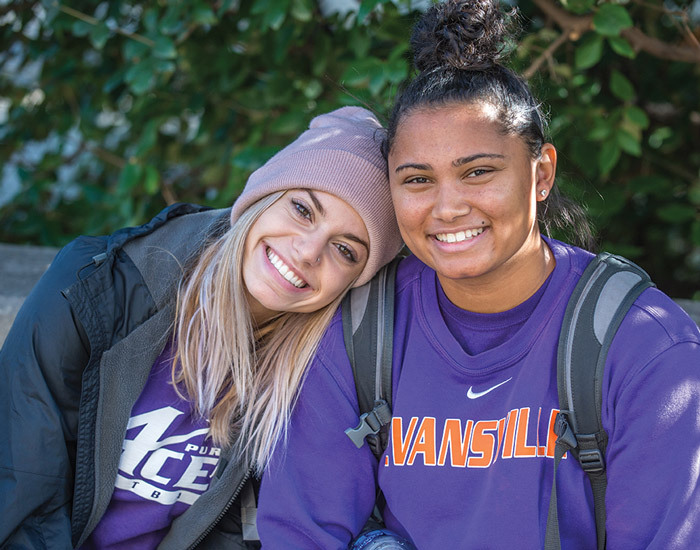 You will receive an income tax charitable deduction this year for the value of your gift to University of Evansville.